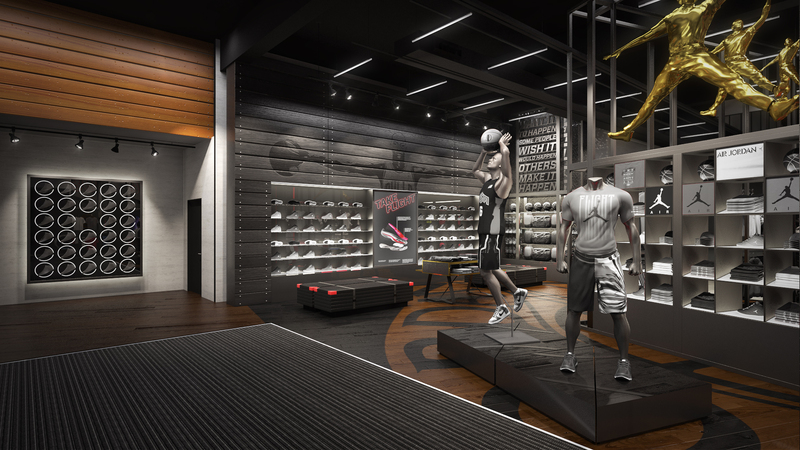 Designed in collaboration with Big-Giant, this consumer experience is a study of a Brand Jordan consumer experience in Nike Chicago. 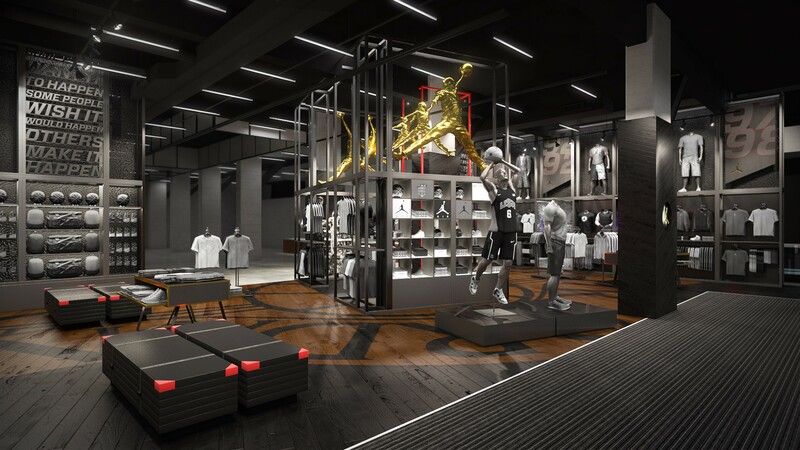 The design highlights performance product stories in a structure located in the middle of the floor, which is topped with golden Jordan statues in iconic flight. 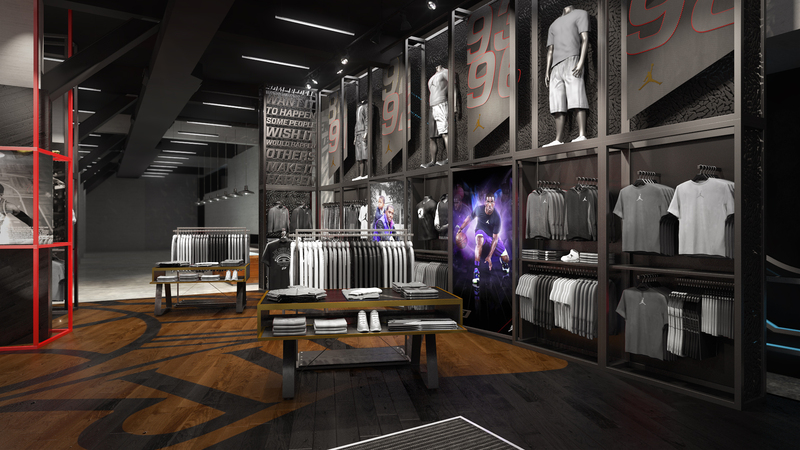 Footwear, equipment, and apparel product are arranged along the perimeter, completing the presentation of product across training, game-day, and lifestyle segments. 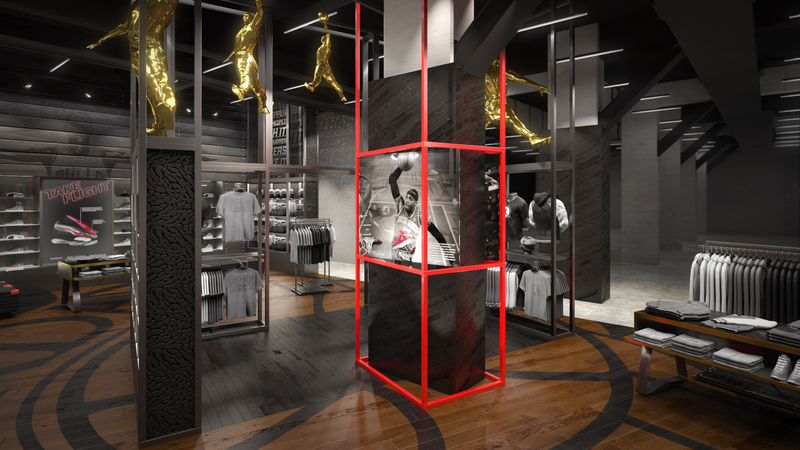 The materials and the color palette reference basketball and Michael Jordan’s history, and bring emotion and authenticity to the consumer experience, as do the images of current Brand Jordan athletes. The entire space is wired to support digital stories. Completed in 2013. View of footwear and equipment. 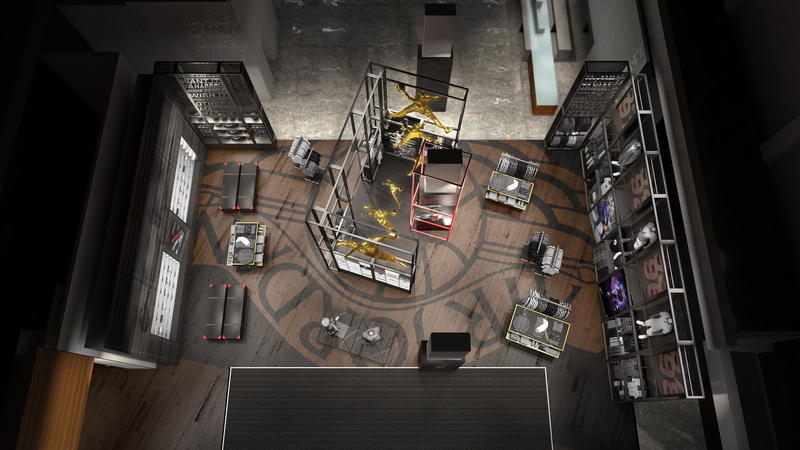 Bird’s eye view of shop.